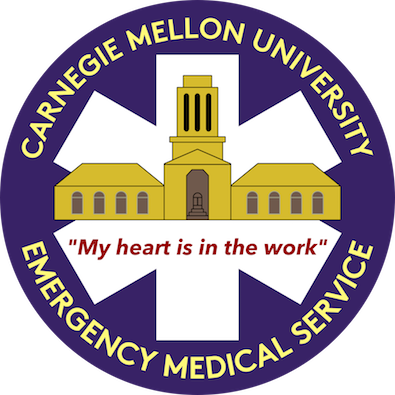 CMU EMS, in conjunction with a local state-registered training agency, offers an Emergency Medical Technician (EMT) course during the spring semester. It is open to anyone, and students must register through the training agency to enroll in the class. CMU students can also receive pass/fail units by registering for the course number 69-195. The Emergency Medical Technician provides students with a basic knowledge of Emergency Medicine, and enables students to take the National Registry EMT Certification exam and become certified at the state and national level. This course is cross-enrolled through the Community College of Allegheny County (CCAC) and will require registration with CCAC on the first day of class. This will require a fee of $550. Due to state laws and classroom hours requirements, all lectures are mandatory with very few exceptions. This class will meet on around 3 Saturdays, which will be announced on the first day of class. Prerequisite: Participants must be at least sixteen (16) years of age at the time of the state examinations. For more information about the class, email info@cmuems.org.